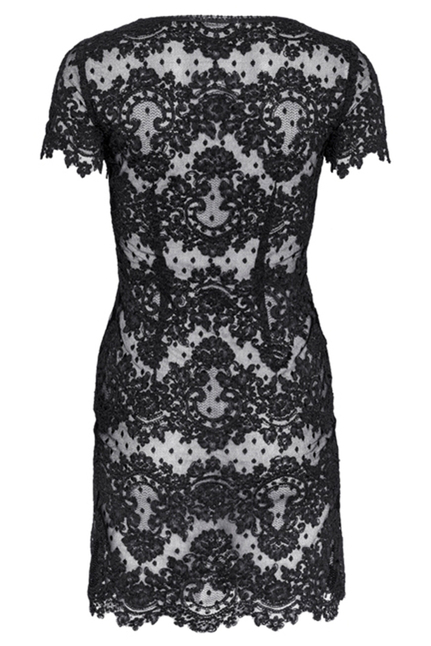 Mila is a fitted dress cut from a smashing guipure lace and dot tulle fabric. The v-neck is really flattering with its scalloped lace edges. 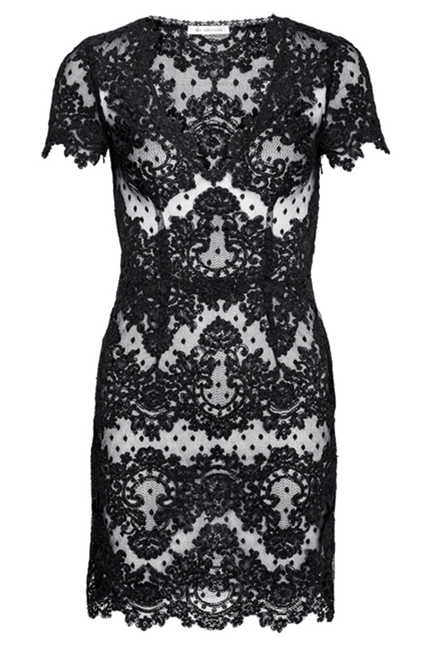 As Mila is unlined we recommend you to wear it with a silk slip or bra underneath. It has a hidden zip closure in left side seam.